Nature Magnified: Some get snapped some get away! Some get snapped some get away! I gathered up enough courage to put off the guilt of birding on a workday and headed out to Blackberry hill this afternoon…and what an afternoon it was! 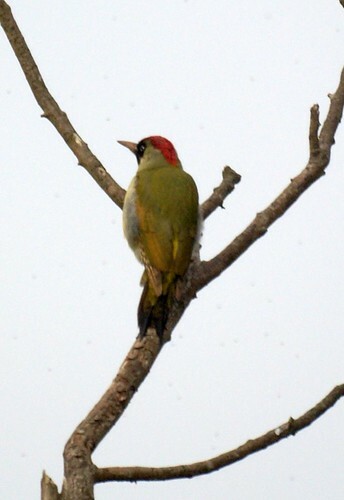 As soon as I got off my cycle, a green woodpecker flew past me. I almost cried out to it to stop and pose. I think it heard me for it flew to the one tree without cover and sat there. I dumped my cycle and half walked half sneaked half stumbled while clicking away. 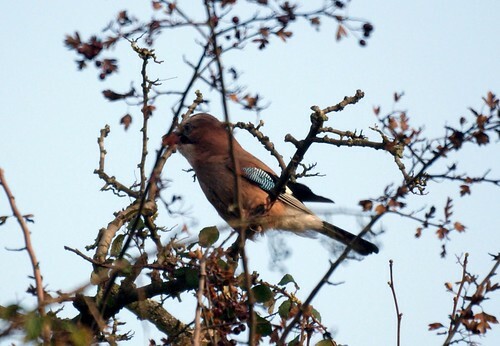 The light wasn’t great but I got my shots before it flew away..what a beautiful bird! More shots of it to come. 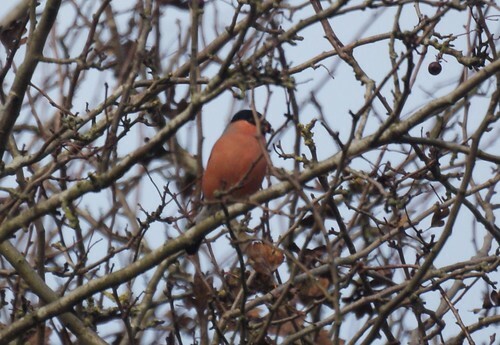 I chose a slightly different route this time and it led me adjacent to the woods which seemed to be teeming with birds. 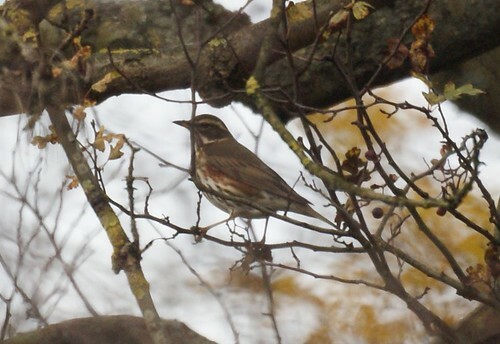 There were flocks of song thrushes (correction: see next post) mixing noisily with blackbirds and finches. However these birds are very cautious and wouldn’t give me a clear shot. I finally managed a good one. 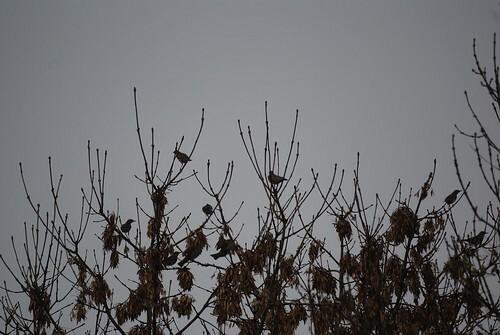 I noticed there were huge numbers of them in flocks. I suppose they must be newly arrived migrants. 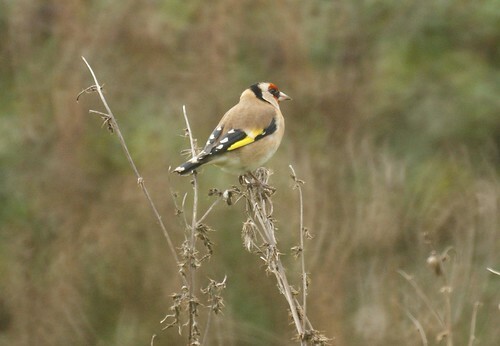 There were huge flocks of goldfinches too, and they were not shy, but with them hardly sitting still, it was hard to get a good shot. 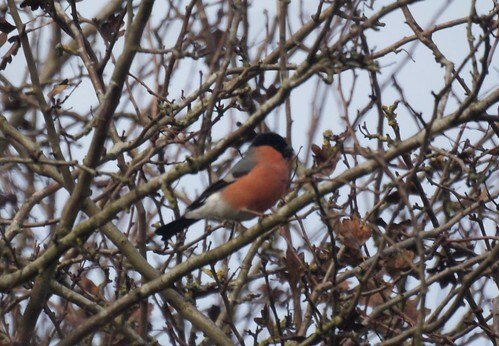 As I moved on, i suddenly noticed a bit of colour flashing in the branches and immediately recognised this bullfinch. 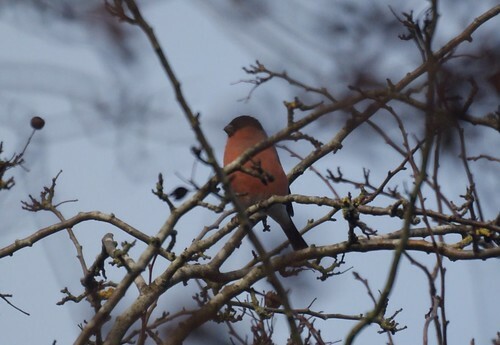 This is my first sighting of a bullfinch on Blackberry hill and also the first time one has come within my camera range. 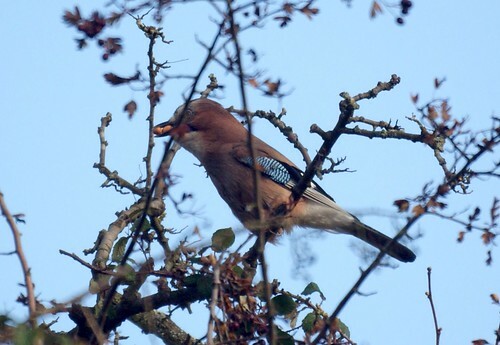 It was a good way off and with so many twigs and branches in front, focussing was difficult. 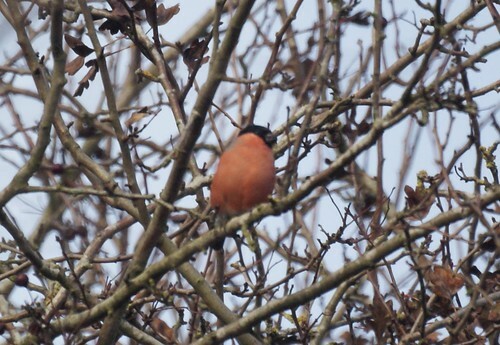 however, even though not perfect, the autofocus seemed to do alright. …and i got some alright looking shots. 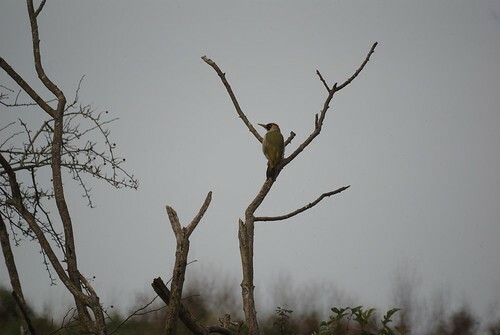 ..notice the two berries in its beak…anyone knows what they are? 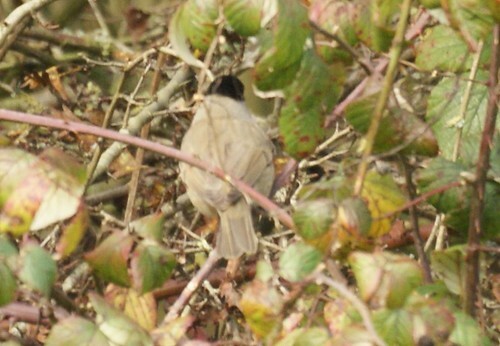 There were others that got away and one was this black cap. It was quite a distance away, and I`m amazed that the lens was able to pick it up at all. 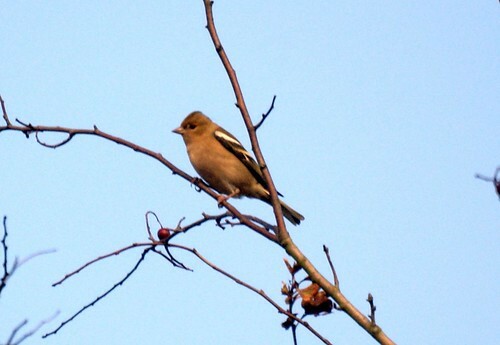 ..but it never gave me a frontal pose., unlike this chaffinch below. finally, as I was returning, I saw movement in the distance and was wondering what it was. 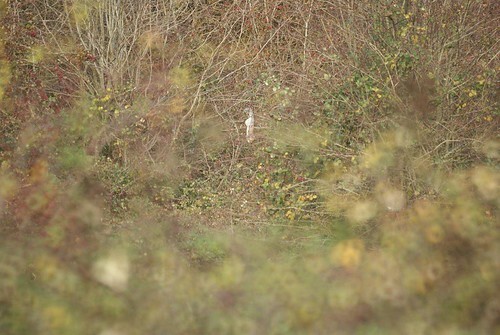 I had to take a pic through my 500mm lens and then zoom in to solve the mystery…any guesses? …it was a squirrel hanging upside down!